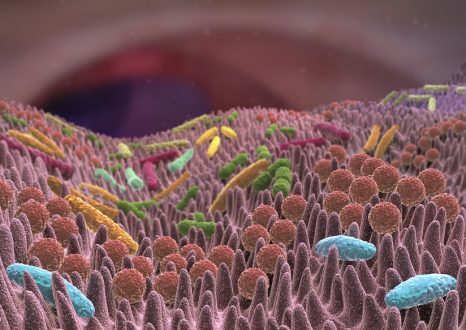 The intestinal microbiota still has surprises in store. The mode of action of a probiotic bacteria used in the symptomatic treatment of pain in irritable bowel syndrome has been revealed in a new study conducted by scientists from Inserm, Université de Toulouse and CHU de Toulouse  within the Digestive Health Research Institute (Inserm/INRA/Université Toulouse III – Paul Sabatier, ENVT). The bacteria produces a neurotransmitter (GABA) which, when bound to a lipid, crosses the intestinal barrier, acts on the sensory neurons located in the stomach, and reduces visceral pain. This new class of molecule, combining lipoprotein and GABA, could be used as a painkiller. This research was published in Nature Communication. Irritable bowel syndrome is a chronic disease characterized by abdominal pain associated with functional bowel disorders. This is a highly incapacitating disease which drastically reduces patient quality of life. Patients are powerless when faced with this syndrome, as no truly effective treatment exists for this disorder which affects 5% of the French population. The probiotic bacteria Escherichia coli Nissle 1917, discovered during the First World War, was recently used as an orally administered alternative therapy for irritable bowel syndrome. 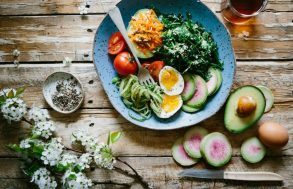 Treatment with probiotics has become a popular trend given the “natural” characteristics of these products, and their supposed lack of toxicity. It is nonetheless essential to understand the molecular bases of their therapeutic properties. Research in this field examines and questions the origin of the bacterial factors behind these probiotic activities, and the validity of their use. The scientists developed a project aiming to characterize the probiotic activity of the E. coli Nissle 1917 strain from this perspective. Their research shows that this bacteria produces GABA (gamma-aminobutyric acid) bound to an amino acid and a fatty acid. Together, these three molecules form a lipopeptide. GABA, the main nervous system inhibitory neurotransmitter, is then able to cross the intestinal barrier after the bacteria has bound it to this fatty acid. It can then bind to its receptor in order to diminish the activation of sensory neurons, and thus reduce pain. However, GABA cannot cross the intestinal barrier on its own (without its fatty acid). Once the lipopeptide was identified and characterized, initial studies were first conducted on cultured murine sensory neurons. Exposing these neurons to capsaicin (the active substance of chili peppers) increased calcium flow, which is characteristic of the neurons’ hypersensitivity, compared to the control neurons. These changes in calcium flow are not observed in these neurons when they are pretreated by adding synthetic lipopeptide to the culture medium. These studies were then conducted on mice. Electrodes placed on the animals were able to measure the intensity of abdominal contractions characteristic of pain (equivalent to stomach cramps in man). Once they ingested the synthetic lipopeptide, the abdominal contractions in the hypersensitive mice then became equivalent to those observed in the control mice. This study has made it possible to file a patent for a new class of molecules that can be used as analgesics. “As these do not modify intestinal motility or physiology, we also hope that they will generate fewer side effects than morphine, for example. This should evidently be validated by future therapeutic trials,” states Nicolas Cenac. This discovery demonstrates the importance of having a better understanding of the modes of action of the probiotics currently in use, and the therapeutic potential of lipopeptides produced by the intestinal microbiota. Inserm Transfert has filed a patent application for this research. Named after the German physician Alfred Nissle who isolated this strain from a stool sample obtained from a soldier in the First World War, who was the only member of his unit that did not get dysentery. 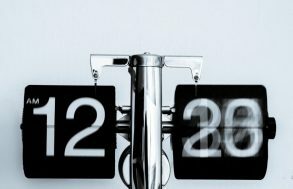 Could the Biological Clock Be a Key Ally in the Fight Against Inflammatory Disease? Teresa Pérez-Berezo*1, Julien Pujo*1, Patricia Martin*1,2, Pauline Le Faouder3, Jean-Marie Galano4, Alexandre Guy4, Claude Knauf1, Jean Claude Tabet5, Sophie Tronnet1, 5 Frederick Barreau1, Maud Heuillet6, Gilles Dietrich1, Justine Bertrand-Michel3, Thierry Durand4, Eric Oswald#1,2, and Nicolas Cenac#1.